Baba raised a very interesting question and answered it Himself. 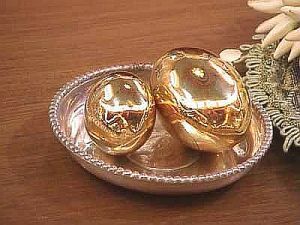 "Why does Swami produce the Linga from Himself this day? Let me tell you that it is impossible to understand the attributes of the Divine. You cannot measure its potentialities, nor gauge the significance of its Mahima (manifestation of divine glory, miracle); it is Agamya: unreachable, Agochara: un-understandable. Because of these, you get an example of divine attributes. 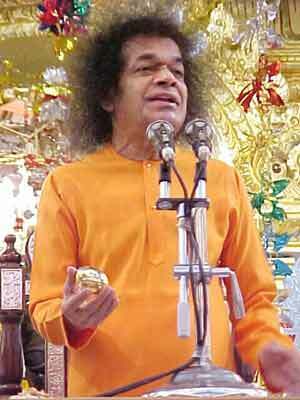 In order to bear witness to this divinity that is amidst you, for your benefit and benediction, the Linga emerges. If even these glimpses are denied, faith in the Supreme will vanish and an atmosphere of greed, hatred, cruelty, violence and irreverence will overwhelm the good, the humble and the pious." "India is being forged into a Bhogabhoomi - land of luxury - a land of skyscrapers, tinned foods, air-conditioning and television. Indians are being shaped into an imitative, insurgent, ill-disciplined mass. They are being transplanted on other soils and encouraged to grow, without roots. This is an insult to our past and a dangerous defiance of history. It is a sacrilege on the sanctity of time, on the holy purpose of the human body. 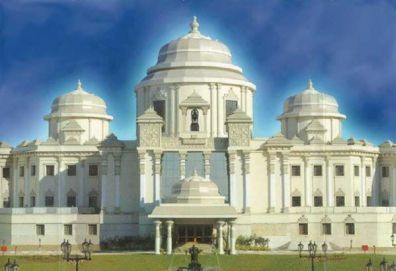 That is the reason, I have decided that this college has to be inaugurated on Guru-Poornima Day on Guruvar - Thursday - as a Gurukula - the hermitage school of ancient India in which the highest ideals of life were instilled by personal example and guidance by the Guru to the pupils eager to imbibe." 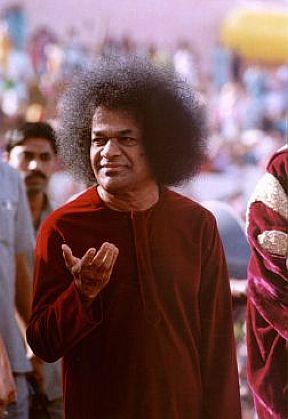 "Bhagavân Srî Sathya Sai Baba" is how Baba is referred to by the millions that adore Him. 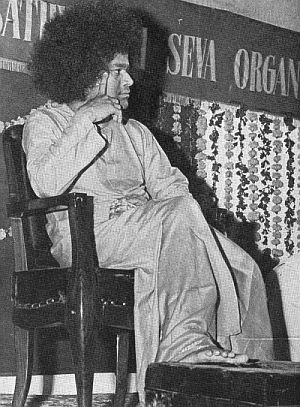 He announced Himself as Sai Baba when He spoke of his identity at the age of 14, on 23rd May, 1940, when his father insisted on being told what Baba meant by saying that He had His disciples to look after and His unfinished work to be completed [see for this story 'The Serpent Hill']. "Sathya Nârâyana" was His name and Raju was the family appellation. This was shortened into Sathya, the name by which Baba was known at home, village and school. "The loyalty and devotion that the previous Incarnations commanded arose partly through fear and awe, and partly from superhuman power. The Sathya Sai manifestation has none of these appendages. Nevertheless it commands the adoration of millions in this age of rampant godlessness, materialism, cynical disregard of higher values and aggressive irreverence." "Everyone of you is an avatâr. You are the Divine, encased like Me in human flesh and bone! Only you are unaware of it! You have come into this prison of incarnation through the errors of many lives. But I have put on this mortal body out of My own free Will. You are bound to the body with the ropes of the three gunas, I am free, untouched by them, for the gunas are but My playthings. I am not bound by them, I use them to bind you. You are moved this way and that by desire. I have no desire except the one to make you desireless." We may frequently fall into the error of deeming Baba to be a mortal like ourselves, forgetting the fact that He is the very Divine Essence that has willed itself into each mortal body. 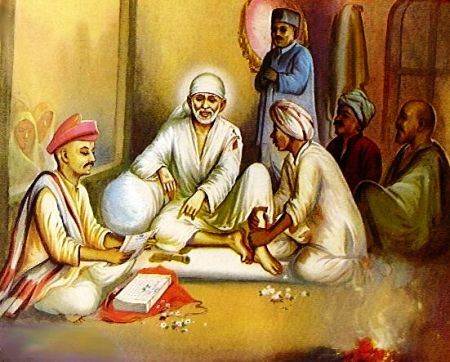 Baba has said that He as well as the Sai Baba of Shirdi have been emanations of the same essence. Baba is one with all the Avatârs [see also 'Bhagavân on Bhâgavatam'] that have descended so far and those that will come hereafter.